The 111th episode of the Reading & Writing podcast features an interview with J.L. Bourne, author of the DAY BY DAY ARMAGEDDON series of zombie thriller novels. 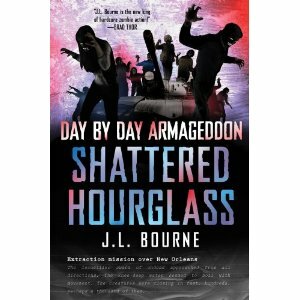 The latest book in the series is DAY BY DAY ARMAGEDDON: SHATTERED HOURGLASS. Click here to subscribe to the podcast via iTunes. Click here to subscribe to the podcast via email, and click here to download the single episode mp3 file.